Traumatic brain injury (TBI) happens when a bump, blow, jolt, or other head injury causes damage to the brain. Every year, millions of people in the U.S. suffer brain injuries. The worst injuries can lead to permanent brain damage or death. Half of all TBIs are from motor vehicle accidents. A substantial amount of new research has come from the Veterans Health Administration documenting military personnel in combat zones are also at risk. One of the most under-appreciated causes of TBI is from sports related injuries. That topic will be discussed in far greater detail on a later blog. Just like serious burns, amputations, and spinal cord injuries, TBIs are a catastrophic injury. However, TBI operates in a different manner because the victims of such a serious injury look normal. TBI upsets life on multiple levels: physical, psychological, social, and even spiritual. TBI affects the roots of who we are; our ability to think, to communicate, and to connect with other people. For approximately 85 percent of people with TBI, those problems eventually resolve, but the remaining 15 percent have lasting cognitive abnormalities. If you’re dealing with lingering symptoms of a TBI, or if you’re caring for a loved one, it can help to understand more about the wide range of challenges that TBI could pose. Studies have shown that victims of TBI are at an elevated depression and suicide risk. A recent article in the Journal of American Medical Association discussed an extensive decade old study by the VA, which found that even without a loss of consciousness, people who sustained a TBI have a two fold increase in the risk of dementia. That means even a mild concussion can have a lasting lifelong debilitating effect. More than half of TBIs are bad enough that people must go to the hospital. However, the most serious problems are the TBIs that go unrecognized by the average person without experience in identifying, responding to, and treating TBIs. It is imperative that if you or a loved one is involved in an accident, of any type, and they exhibit symptoms of a TBI that they obtain medical assistance immediately. If their injury is due to the negligence of a third party, they should contact attorneys experienced in handling TBI cases. Health care professionals use a neurological exam and imaging tests to assess traumatic brain injuries. 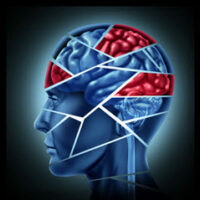 Serious traumatic brain injuries need emergency treatment as soon as possible. Treatment and outcome depend on how severe the injury is. TBI can cause a wide range of changes affecting thinking, sensation, language, or emotions that can last the injured party’s lifetime. Don’t bare that burden alone. Contact us to help you obtain the help you need. From the desk of Joseph G. Alvarez, Esq.